his family couldn’t afford it. So, he lived in pain every day and started to lose his hearing. And, he had to drop out of school. Ronaldo, 17, has been silently suffering for the last 10 years. He lives in Honduras in one of the most dangerous cities in the world, San Pedro Sula. It’s a very poor city in a poor country where medical resources are available, but too expensive for the average person. When he was seven years old, Ronaldo started to have ear infections. His mother did what any loving mom would do - she took him to the doctor. But, he didn’t get better and his ear infections turned chronic. His mother was terrified. Ronaldo had a twin brother who died at four years of age. He also suffered from ear infections. To his mom, Ronaldo’s ear infections meant a matter of life and death. Local doctors said that Ronaldo needed surgery in both ears to repair damage caused by the chronic infections. His mother took him to four different hospitals in the city looking for help, only to realize she could not afford the treatment that would change her son’s life. Ronaldo’s story has been told many times in countries like Honduras. According to the World Health Organization, five billion people around the world do not have access to safe and affordable surgical care. 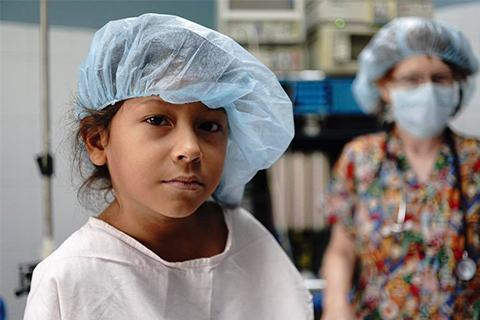 Nine out of 10 people in low and middle-income countries cannot access the most basic surgical services. Year after year, Ronaldo lived with chronic pain and headaches and started losing his hearing. He couldn’t hear his teachers in school or keep up with his studies. Last year, he was forced to drop out of school. 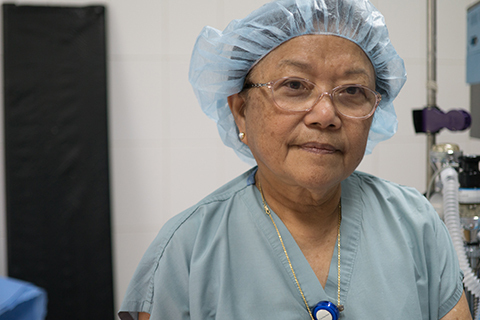 This past June, Ronaldo’s mom learned from a family friend about a group of volunteers from the United States who would be conducting an ear, nose, and throat (ENT) clinic in the small town of Sula. She and Ronaldo traveled to the clinic where they met IRT’s team of doctors and nurses who gave Ronaldo a thorough exam. 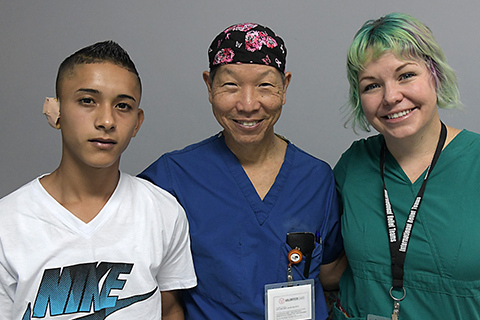 The following day, IRT’s Dr. Glen Yoshida and the IRT volunteer team performed surgery on Ronaldo’s right ear. When he woke up in the recovery room, he told IRT’s nurses that he couldn’t believe he already had less pain. He also noticed he could hear much better. 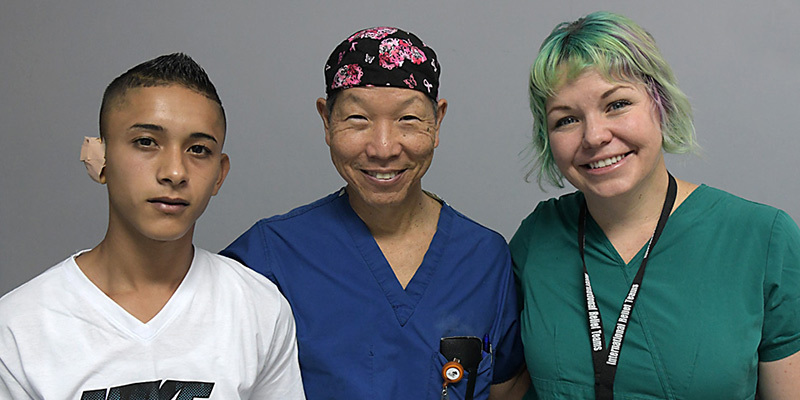 ‍Ronaldo poses with IRT volunteers Dr. Glen Yoshida and Tracy Fulkerson, RN after his surgery. And, now he is excited to go back to school in the fall! Ronaldo’s left ear will be operated on in six months when a second ENT surgical team arrives in Sula. 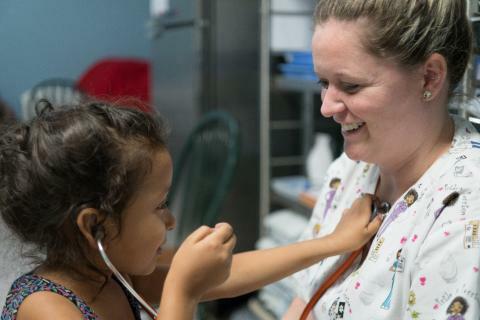 Every year, IRT conducts a one-week ENT surgery clinic in the small, impoverished town of Sula, Honduras. 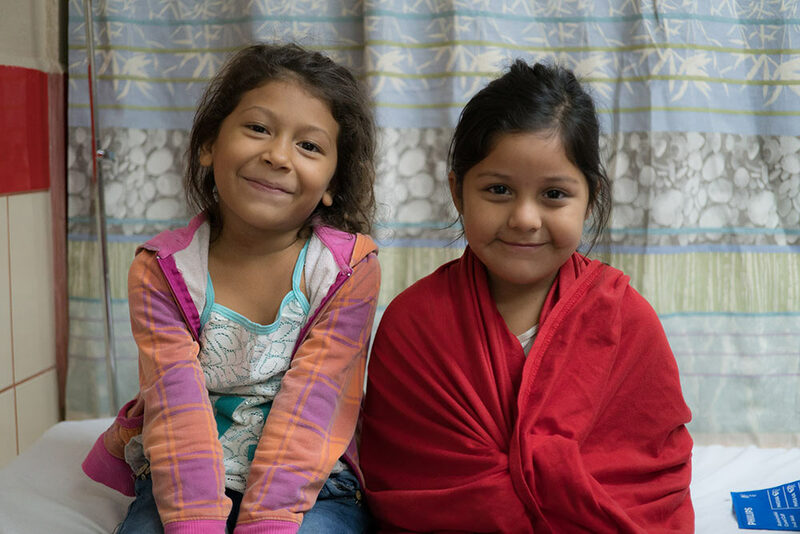 IRT’s clinic is often the only opportunity for poor families to receive life-transforming, urgently needed ENT surgeries. 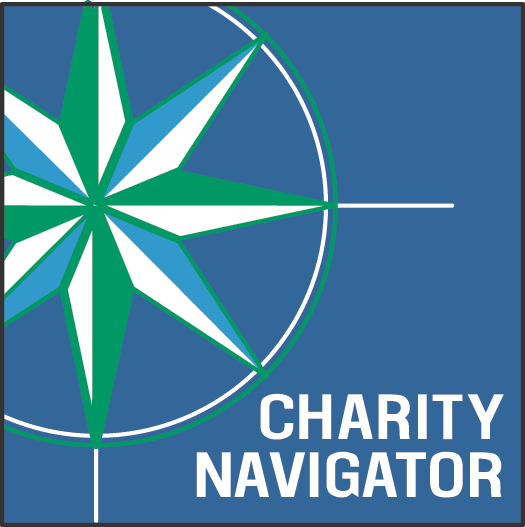 Thanks to our amazing volunteers and donors who make this possible.